During workshops, space for participants to engage is precious. Because reflection and conversation space is learning space. To make meaningful conversation happen, we – the facilitators and hosts – are preparing the space with care and purpose. 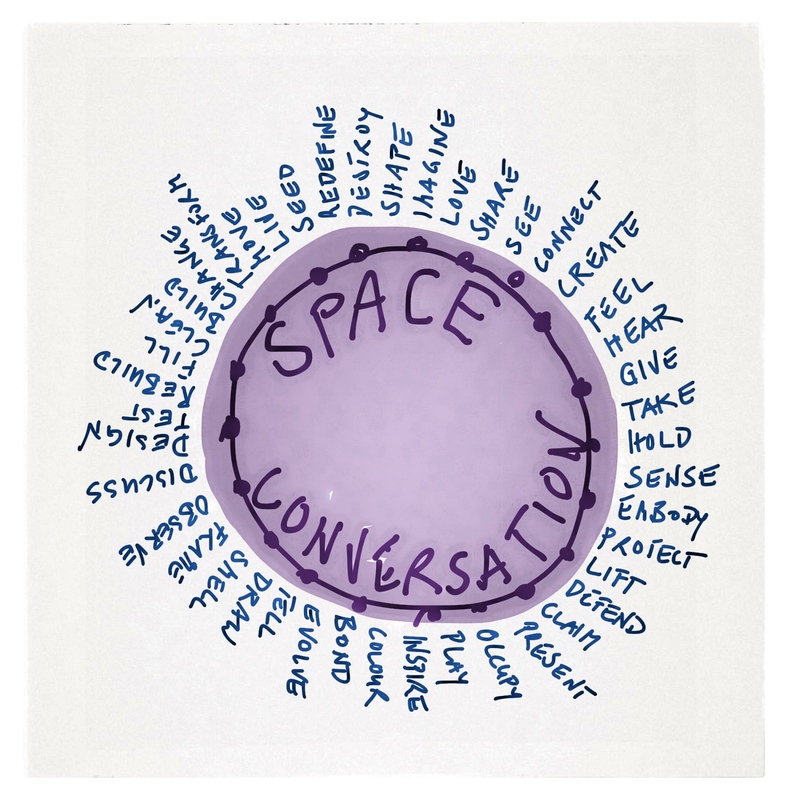 Conversation space is opportunity and invitation for workshop participants to engage: they share thoughts, questions and stories. While participants discuss they progress jointly, discover new ideas, and make sense of what is and could be. They dig deeper and pull knowledge, experiences, and perspectives together. As facilitator I find myself, during the preparation process, often in the position of defending ’empty’ space for participants to engage. As facilitators and hosts we create the conditions for meaningful conversation to happen. We structure the space purposefully. We design the whole workshop as process for conversation and learning. We marry content and process. We balance inspiring and provoking inputs with participants’ engagement. We open the space and invite people to take part, to make choices. How do you take care of space?